You Won't Believe These Halloween Pumpkin Creations! You Won't Believe These Halloween Pumpkin Creations! 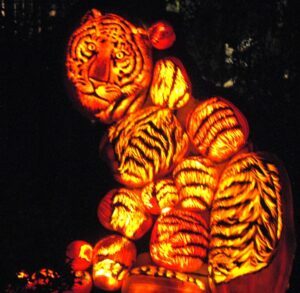 Rise of the Jack-O-Lanterns offers a stunning display of professionally carved pumpkins. 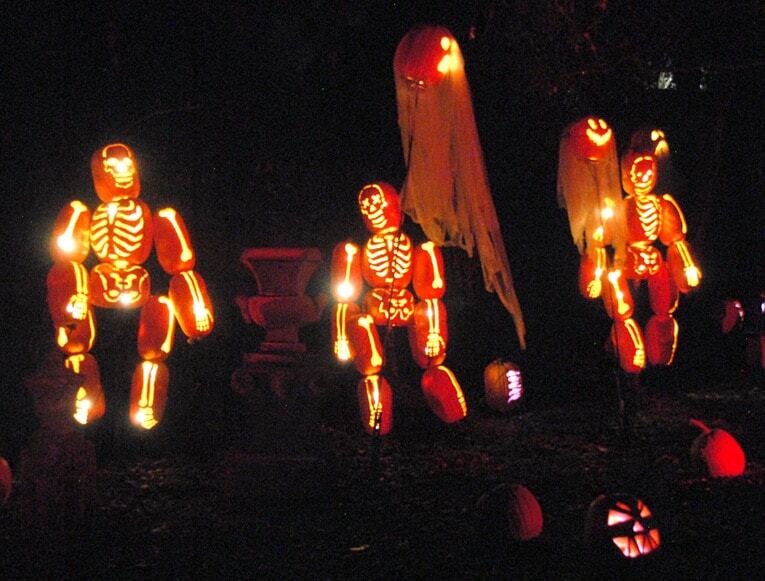 Skeletons made of carved pumpkins dance in the darkness. Want to awaken a wealth of ideas for your family’s pumpkin carving this year? 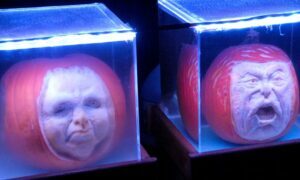 If you live near Long Island, Los Angeles, Boston, or Secaucus, don’t miss the Rise of the Jack-O-Lanterns exhibit. 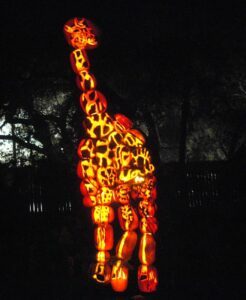 Sculptural giraffe is a stunning creation from carved pumpkins. On display along an easy 1/3-mile walk are more than 5000 professionally hand-carved and beautifully illuminated pumpkins. The creativity is of this exhibit is exceptional. 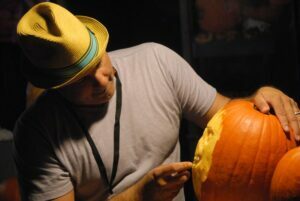 Pumpkin carver displays his artistic techniques. 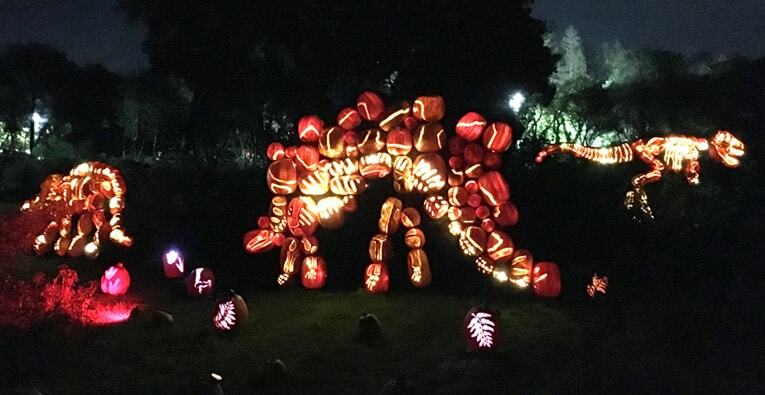 Some Jack-o-lanterns stand alone on the ground or perch on various stands, but most are connected together in larger-than-life sculptural arrays that depict dinosaurs, Chinese dragons, classic cars, wild animals, and much, much more. The resulting sculptures, combined with the excellence of artistic carving and painting, are off the hook. 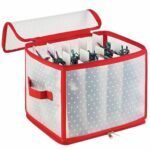 This wonderful show runs from early October until November 1 at Old Westbury Gardens in New York, the Los Angeles Convention Center in Los Angeles, Fairplex in Pomona, Seaport in Boston, and Meadowlands in New Jersey. 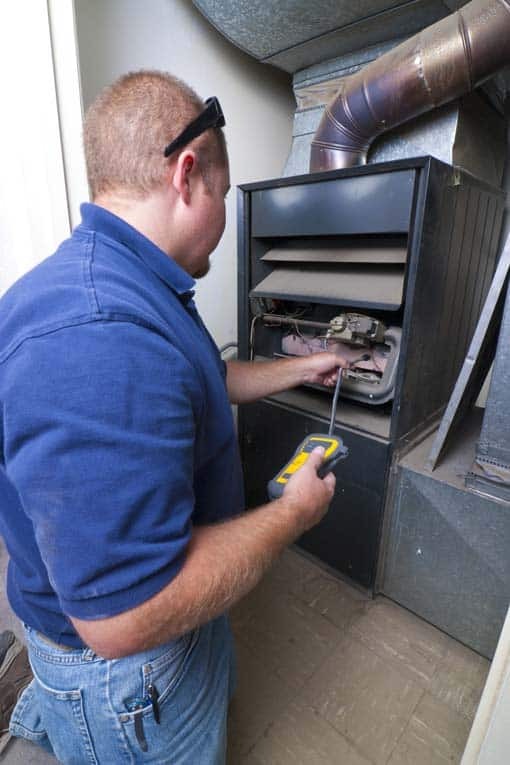 For more information, visit www.therise.org. 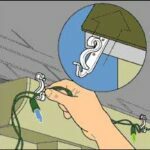 Be sure to scroll all the way down the page, there are a ton of great ideas here! Sesame Street characters are carved and painted on a grouping of pumpkins. Dinosaurs from carved and painted pumpkins roam the landscape. 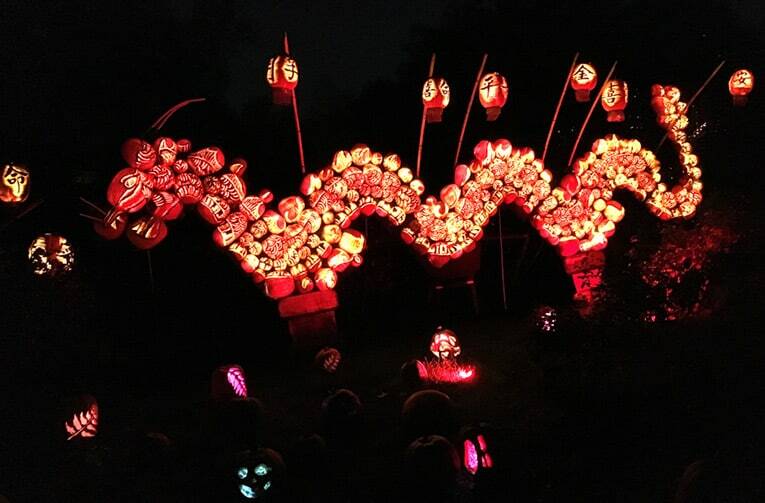 Incredible Chinese dragon winds through lanterns—all made from pumpkins. 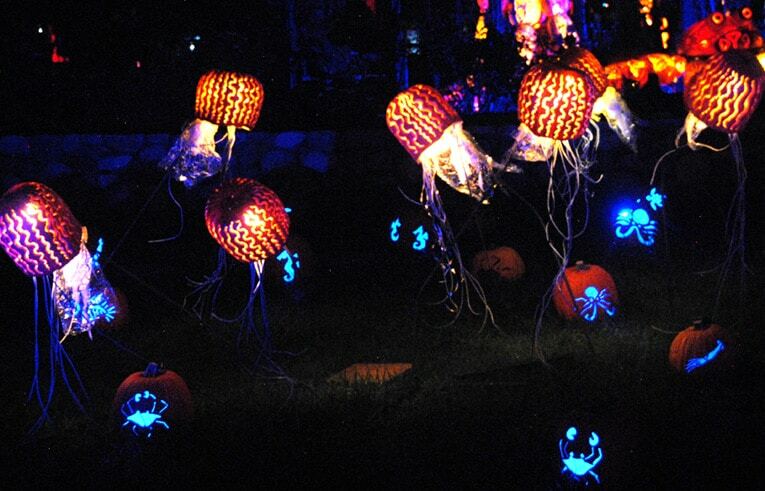 A brilliant display of sea creatures floats through the night. 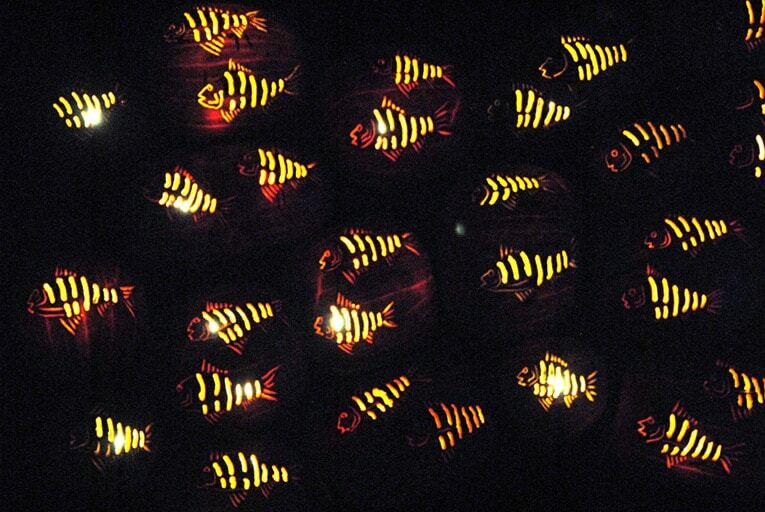 In the dark of night, these carved pumpkins become a school of fish.